Treaty Series: What is a Treaty? Native American / American Indian Blog by Partnership With Native Americans | Treaty Series: What is a Treaty? Treaty Series: What is a Treaty? For my next few blog topics, I will be writing a series on some of the treaties between the United States and various Native American tribes. 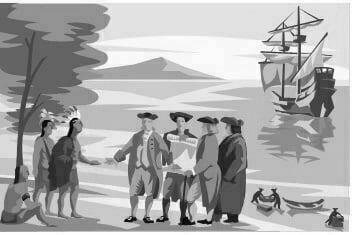 Today’s topic will serve an as introduction to treaties in general – what they are, what they promised, and how they serve to create confusion and impact the tribes even today. To begin with, many people might not understand that a treaty between a Native American tribe and the United States is a legal and binding document made between two distinct and sovereign nations. It is as legal and binding as the nuclear non-proliferation treaty that the United States signed with Russia in the past. And, as with the nuclear non-proliferation treaty, it is understood by the signing nations that it will be honored. Additionally, treaties are upheld by Article Six of the United States Constitution as “the supreme law of the land” and, like the Constitution and the Bill of Rights, treaties do not expire with time. Treaties also serve as a promise of sovereignty for the tribes by the United States and, by definition, sovereign means self-governing and autonomous. So, by entering into these legal contracts with the tribes, the U.S. effectively and legally confirmed the sovereign status of tribes. Whether or not the tribes have since been treated as sovereign nations is an entirely different topic. Early on and in times of war between European countries, treaties served as a way to form alliances with tribes in an effort to expand European defenses against adversaries. And, in the very beginning, treaties were a way to offer new residents to this land – which would ultimately become the United States – some amount of protection and security. Yet, as the dynamic between the tribes and the ever-increasing American population changed, treaties became more and more a U.S. method of usurping from the tribes lands that were rich in natural resources. However, in exchange for these lands, the U.S. government in the treaties made definite and legally binding promises to the tribes. And, items such as monies, education, healthcare, and hunting and fishing rights were promised to be given to the tribes in perpetuity which, by definition, was intended to mean forever and without end. Unfortunately, perpetuity has been redefined by the United States time and again in regard to treaties. Perhaps this is because, since the times of Vasco de Gama in the late 1400s, there existed the “Doctrine of Discovery” mindset on the part of Europeans which reasoned that, since the Native American tribes inhabiting the land were never subjects of a European Christian monarch, they had no right of ownership of the land which they inhabited. They were considered inferior peoples who needed the newly arriving Christians to save them from themselves. And, it was this ethno-centric way of thinking by the European treaty makers that has continued to so much angst and controversy among both European and Native peoples. Additionally, the “Doctrine of Discovery” is cited event today when tribes and the United States Government enter into lawsuits. It is most often used to disclaim or invalidate Native American claims to the land. Finally, with regard to treaties, the language and the legal interpretation of Native American tribes as sovereign nations and yet domestic dependent nations has always been a conflicting duality. Likewise, the resulting precedents set forth by various legal judgments over time have further clouded the meaning of treaties. Even single words are subject to scrutiny when lawyers begin to dissect treaty language. So, in my next few topics, I will discuss specific treaties between the United States and Native American tribes in an effort to shed light on the incredibly complex, controversial, and legal nature of the unique relationship which exists between the United States and Native American tribes, and to show how those treaties still impact the tribes today. This entry was posted in Humanitarian and tagged American Indian, Article Six, Constitution, Doctrine of Discovery, Native American, Native American tribes, treaties, U.S. Government. Bookmark the permalink. Trackbacks are closed, but you can post a comment. What do you expect in the near future with regard to these treaties between The US and Native American Tribes? How can this relationship be greatly improved? Alfred, Thanks for your question, it’s a big one… If you’re American, we encourage you to ask your Congressman why the treaties aren’t being met and what can be done about it. ** In 1975/1988/1994, the Indian Self-Determination & Education Assistance Act and amendments were all steps in the right direction. This empowered tribes to be more self-governing and to self-adninister schools and other social programs that are federally funded under the treaties. Over time, the U.S. realized tribes are more effective than the federal government at providing services for their people (see http://bit.ly/Self-Determination and http://bit.ly/Self-DeterminationAct). ** In 2010, the Indian Healthcare Improvement Act recognized the need to better fulfill health commitments to the tribes and was permanently authorized with no expiration date (see http://bit.ly/IndianHealthcareAct). ** In 2013, President Obama authorized the White House Council on Native American Affairs to better support tribes as they tackle econommic development, healthcare, law enforcement, education, and sustainable environments (see http://bit.ly/councilonNativeaffairs). Having said this, the first Council meeting reportedly occurred without tribal leaders present, so the Council’s effectiveness is a story waiting to unfold. 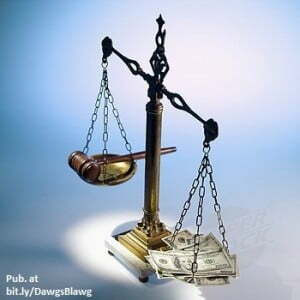 ** When all else fails, we sometimes see litigation such as those described in our recent treaty topics (see http://bit.ly/treatyoflittlearkansas and http://bit.ly/treatyofMedicineCreek). It takes all of this and more, amidst a tightening U.S. budget, to ensure that treaty obligations are kept in the forefront and honored. Thank you for caring.